We are attentive to evolving market conditions and changes in our clients’ lives, and we adapt accordingly. We believe complete transparency and a continuous dialogue between our team and the client is key to a great relationship and has helped us to consistently grow our business over the past 11 years. 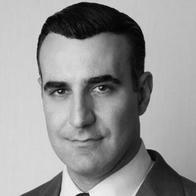 Emmanuel Dounias is a Private Wealth Advisor with Morgan Stanley’s Private Wealth Management division in New York City. Emmanuel joined Morgan Stanley in 2007, after having led Merrill Lynch’s Fixed Income Trading Technology Group. He also worked on the Fixed Income Sales and Trading desk at Grupo Santander in Madrid, Spain. In his current role, he works in asset allocation, manager selection, fixed income analysis, private investments, and tax and estate planning strategies. A native to New York City, Emmanuel graduated with a degree in Chemistry from New York University and earned his MBA in Finance from The Kellogg School at Northwestern University. He is a member of the Hellenic Chamber of Commerce and Leadership 100. Emmanuel lives with his wife and two sons in the Upper East Side of Manhattan. He is an avid music & film buff, and he tutors and serves as a college mentor to underprivileged children in NYC. Erica’s current role as a Registered Associate on the team involves working on opportunistic client projects, research, trading, and portfolio monitoring and analysis. She holds the Series 7 and 66 registrations. Erica began her career at Morgan Stanley as a summer intern in the Private Wealth Management division in 2016. Her hard work and personable nature earned her a full time position in PWM upon graduating from the University of South Carolina in May 2017. Erica graduated with a double major in International Business and Finance, and a minor in Brazilian Portuguese. 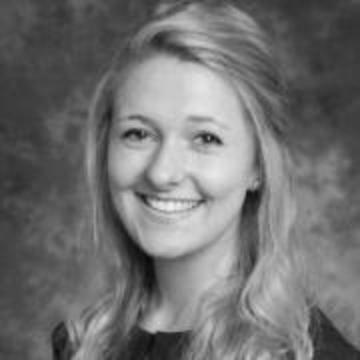 Throughout her time at college, Erica worked in management consulting at Capitol Consultants in Cayce, SC. Her experience at the firm led her to build client relationship skills perfect for her PWM position in New York. Erica now lives in the East Village of Manhattan. When she can, Erica enjoys travelling abroad and snowboarding out west in Colorado.